Notes: I am not sure if this was only released in the UK and Europe or if it was a prototype only. Photo Credit: Duskkodesh from Swift Hearts Rabbit Hole Message Board. Notes: This is a blue Treat Heart Pig prototype. Photo Credit: I don’t remember. If this is your picture, let me know and I will give credit or take it down. Whichever is preferred. The blue pig belongs to me: Cindy Nyenhuis-Miller. The picture is in “Care Bear Collector’s Guide,” by Jacie Strout. There was a yellow one like above on EBay in July, 2011 that sold for $5,655.99. I am interested in selling this one. 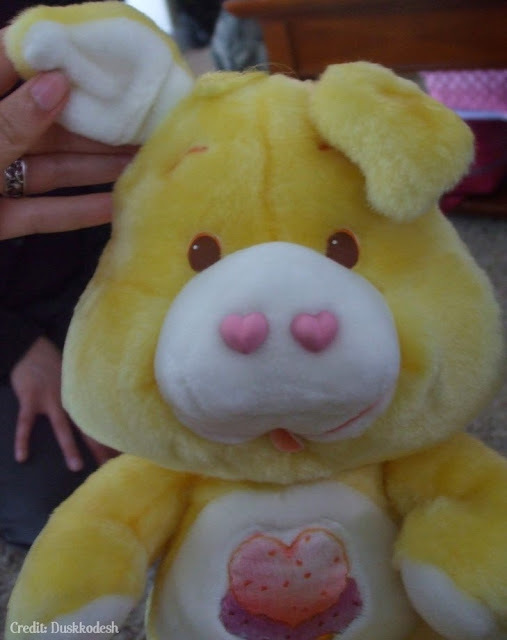 It does have the Care Bear heart on the tush and a tag that is inside out with “Lot’s of Heart” on it. Thank you so much for sharing the information about the Treat Heart Pigs! 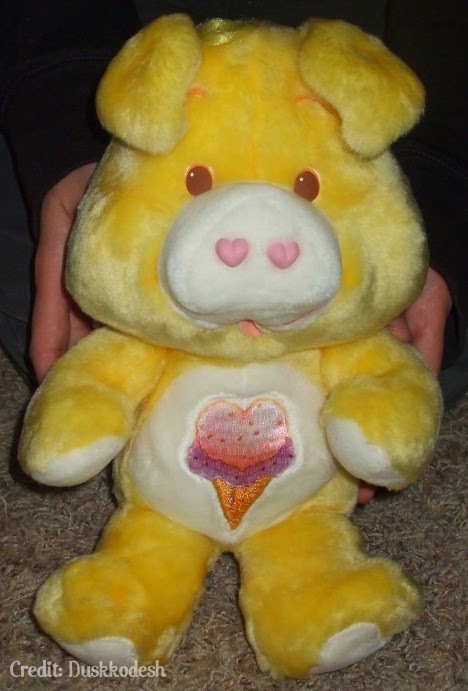 You are interested in selling the Blue Treat Heart Pig? If you want, you can email me you contact information by using the contact form on my contact page and I can help get the word out for you. :) Thank you again!